"Varvouste has solved the problem of inter-atomic energy. That is to say that he has taken to its extreme limit the attempts at liberation sketched out by radium, and, thanks to his discovery, an interplanetary voyage will become possible. In three years, one could reach, in the direction of the nearest star to Earth, Proxima Centauri, a planet which Varvouste has named after his wife..."
In The Man Who Found Himself (1936), a starship transports the protagonist to a world orbiting Proxima Centauri. After a three-year journey at the speed of light, the hero discovers that that planet is identical to Earth in every respect, except that its history is unfolding 40 years in arrears. 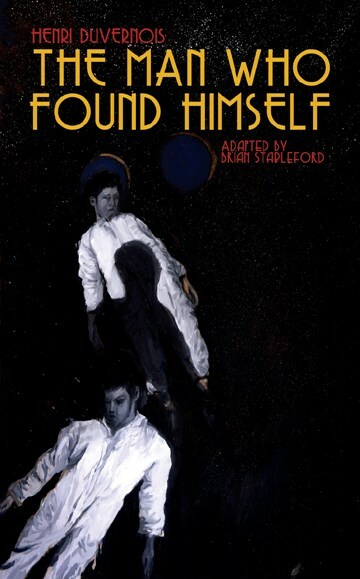 His arrival offers the 60-year-old protagonist the opportunity of "finding himself" at 20. Will his knowledge of future events enable him to manufacture a better life for his family? The Man Who Found Himself is one of the earliest French texts to feature interstellar faster-than-light travel and combine the notions of a trip in time and in space; it is a significant work in the history of French science fiction.